Bijou - A gem of a little salon in Skaneateles: What's new at Bijou? Gel nails are! Right here in Skaneateles, NY! What's new at Bijou? Gel nails are! Right here in Skaneateles, NY! Well it's official, we have now had our class and 3 of the girls are certified! Linda, Courtney and Sam! 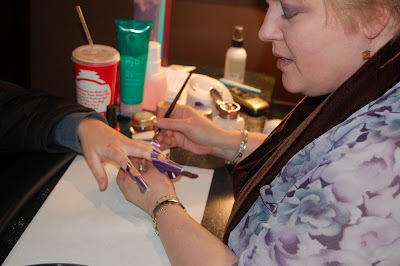 We learned how to do gel overlays, sculpted gels and gel extensions. Gel nails are just plain great!! So, if you want beautiful long nails that look like your own, then Gel Nail is the way to go. These artificial nails were once made with a dental porcelain gel powder (can you imagine?!) 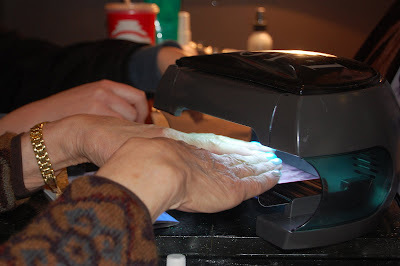 Now, technology has advanced and nail technicians us a mylar form to sculpt your nail, then allow the gel nail to set under an ultraviolet light. Because of the way this gel nail is applied to your own nail the need to have your nails filled will be less often then if you have acrylic nails. Having fill ins are necessary, but not as often. When wearing Gel Nails or any other form of artificial nails you will need to see your nail technician every few weeks. (But not every 2 weeks like your old acrylic tech!) Your nail technician will be able to fill in, if necessary, and check for any signs of the gel nail lifting off from your natural nail. When you are ready to have the Gel Nails removed, the safest and easiest way is to visit your nail technician or manicurist. You want to make sure you do not damage the cuticle or your natural nail. The nail technician knows exactly how to accomplish this without causing any damage. Your nails will need to be soaked and then the Gel Nails can be gently removed by your manicurist. 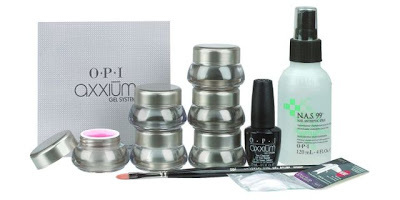 You will be glad that you chose Gel Nails for your artificial nail source. Your nails will look beautiful and natural all the time. No more cracked or chipped nails. Using artificial nails such as Gel Nail is a great way to stop the bad habit of biting your nails. You will be able to proudly display your finger nails. Enjoy the pampering while having Gel Nails applied and then have fun wearing your new nails out on the town! 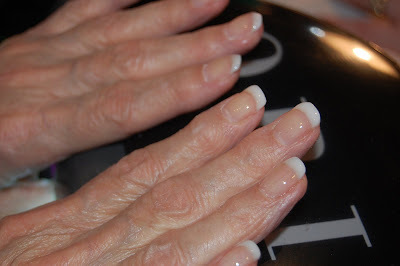 GEL NAILS are an extremely natural-looking enhancement: thin, clear, flexible, non-yellowing, nonporous, resist lifting. Gel nails can be used for natural nail overlays (actually one of the most difficult techniques--but it looks the easiest) tip overlays, and sculpted onto forms for short extensions.